Have a garden insect problem? Need effective organic insect control solutions? 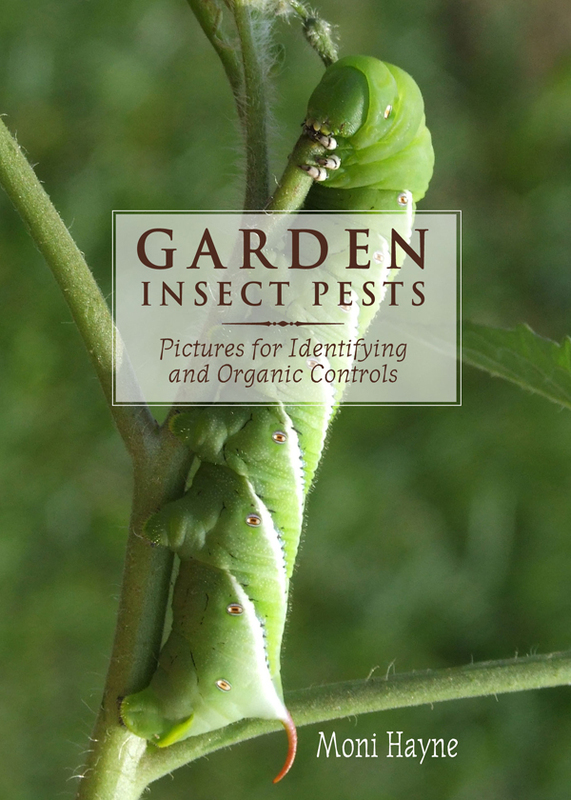 If you are looking for pictures as well as effective methods to prevent and control garden pests in a sustainable garden this is the resource you need. With pictures and natural control systems for 30 of the most common insect pests in your garden, you get a definitive guide to help you keep your garden pest free. The book also tells you which are the good bugs you don’t want to control – because they’re eating the bad bugs. The book includes the organic, sustainable controls you can do at home but also, more importantly, describes tricks you can easily do to avoid having pests in your garden in the first place. The author has 2 degrees in entomology and has worked in a wide variety of research projects on many different vegetable and fruit crops. She works with schools, 4-H clubs and conservation groups to help develop effective identification and control programs for those unwanted pests. You can purchase the book online from Smashwords in multiple eBook formats at https://www.smashwords.com/books/view/307403.